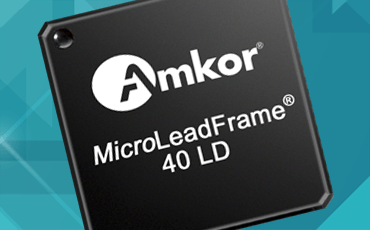 Amkor’s MicroLeadFrame® (MLF®|MLP|LFCSP|VQFN|SON|DFN|QFN – Quad Flat No-Lead package) is a near Chip Scale Package (CSP), plastic encapsulated with a copper leadframe substrate. The MicroLeadFrame package also offers Amkor’s ExposedPad technology. As a thermal enhancement, the die attach paddle is exposed on the bottom of the package surface to provide an efficient heat path when soldered directly to the PCB. This also enables stable ground by use of down bonds or electrical connection through a conductive die attach material. The small size and weight, along with excellent thermal and electrical performance, make the MicroLeadFrame package an ideal choice for handheld portable applications. Products include cell phones, tablets or any other application where size, weight and package performance are requirements. The MLF package uses perimeter lands on the bottom of the package to provide electrical and thermal contact to the Printed Circuit Board (PCB).